If you are anything like me, you tend to want to dip your feet into the waters before you make a big expensive splash. 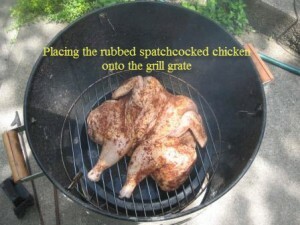 That is the way that my wife and I started with barbecue. 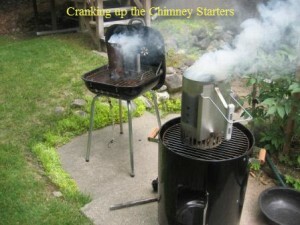 A couple of years ago, my wife bought me a Brinkmann Smoke N Grill charcoal smoker for my birthday. 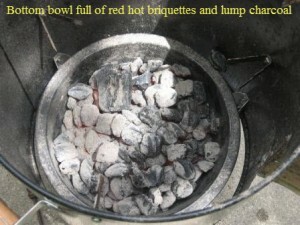 She knew that I was tired of cooking with propane and wanted to venture into the world of barbecue using charcoal. 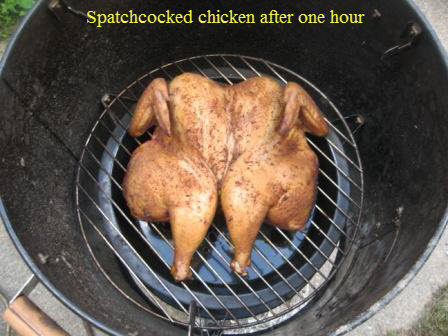 We had owned a Weber Smokey Joe for years but I never owned a cooking vessel that was specifically built for barbecue which is low and slow cooking versus grilling which is typically short cooking times and high heat. 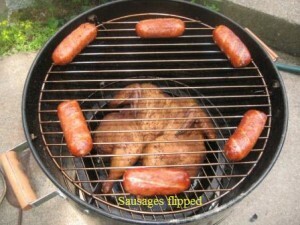 I detail the differences between grilling and barbecue in this article. I recently invested in an offset smoker called a Brinkmann Trailmaster Limited Edition that I write about in this article but the Smoke N Grill is a good first foray into the BBQ world. The Brinkmann Smoke N Grill shown here is what is called a water smoker and it is an affordable way to get your feet wet when it comes to the world of barbecue. 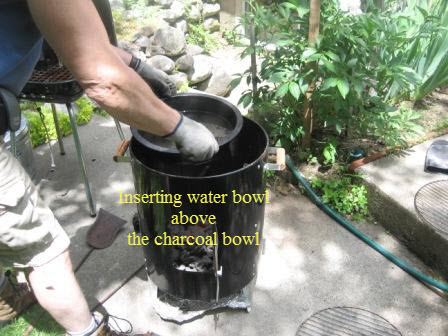 There are a few components to the water smoker. There is a bowl where your charcoal goes at the bottom of the smoker. Directly above that is another bowl into which you fill with water or a combination of water and any other liquid of your choice. 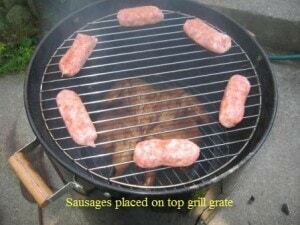 Above that is a grill grate and above the lower grill grate is another grill grate. At the very top of the smoker is the cover. There is also a door toward the bottom of the smoker that you can open to add more charcoal or to add more water or liquid after it has evaporated. 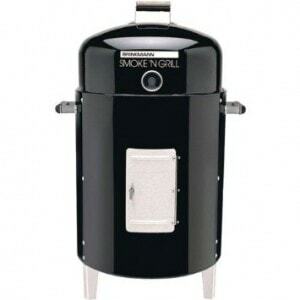 We have used this water smoker for a couple of years and have successfully cooked ribs, chickens, and roasts and it’s hard to describe how great the barbecued food tastes when it is finally done. One thing that you have to know about barbecue is that it takes a while from beginning to end depending on the amount of food you are cooking and you will have to tend to the fire in order to maintain the right temperatures. Remember, barbecue requires temperatures of around 200-250 degrees Fahrenheit over what could be many hours of cooking. 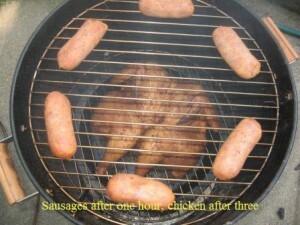 Just the other day we barbecued a 6 lb spatchcocked chicken roaster and some sausages in the Brinkmann Smoke N Grill charcoal smoker and they came out excellent! Below is a pictorial explanation of the steps we took from start to finish if you have an interest in trying it for yourself. 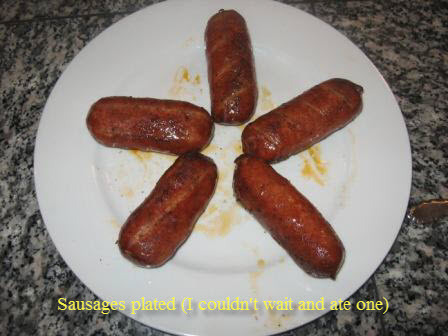 The final product ready to be devoured! 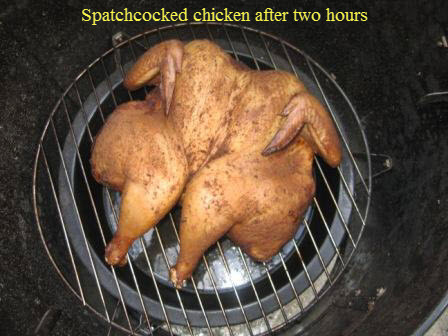 The spatchcocked chicken was spectacular and we enjoyed both the sausages and the chicken at the end of our day of barbecue. 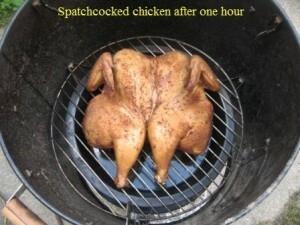 There really is no better way to spend an afternoon with your spouse or a friend than barbecuing. 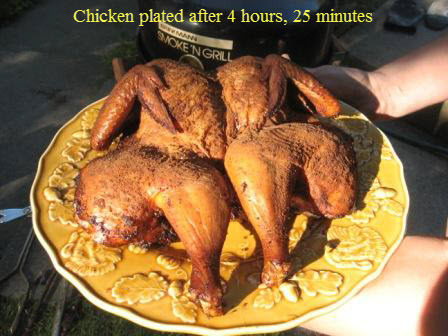 The experience is almost as good as the feast afterwards. If you too are looking to get your feet wet in the world of barbecue, you too might want to look into a Brinkmann BBQ Smoker. 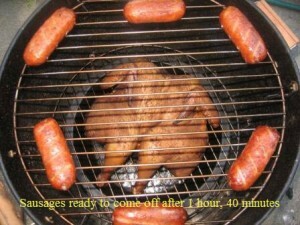 It is a fraction of the price of more expensive smokers but worth every penny. You can always buy that more expensive model down the road but it makes a lot of sense to experience barbecue with a model like the Brinkmann. Heck, you might even realize that this model is all you ever really need to cook low and slow barbecue and enjoy the fruits of your labor at the end of the day. 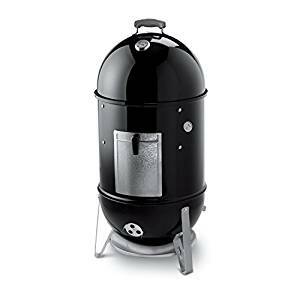 This is the only smoker that I own at this point but I do have my eye on a pretty expensive Weber Smokey Mountain Cooker in which I may invest down the road. As usual, if you have any questions about the Brinkmann water smoker please leave them in the comments or use my Contact Me page. 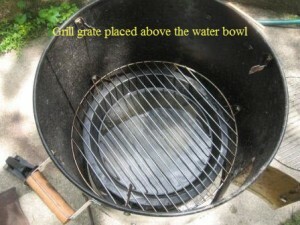 Here is another great option for a water smoker!